Dr. Chris Strasser is managing director of TransTechSol, LLC which he launched in 2011 to focus on the intersection of virtual technologies, oversight and compliance policies, and intelligence mission. Previously, Chris was a senior staff officer at the National Security Agency (NSA) and an executive with Raytheon and Concurrent Technologies Corporation (CTC). Chris has more than 25 years of experience with the NSA as a Department of Defense civilian as well as a U.S. Naval Officer. At Raytheon, he led the initial development of a $500M program in analytics, including cooperative research and development of analytic capabilities, a staffing pipeline, subcontractor management, and automated program management portal applications. At CTC, Chris successfully led their first effort to be the prime contractor for a competitive multi-award $1 Billion IDIQ, which resulted in over $100M in awards for CTC’s Intelligence business. Using lean management techniques, he institutionalized capabilities that allowed the orchestration of two-week task order response and effective management of more than 50 subcontractors. Chris has written and presented extensively about leadership, program management and transformation initiatives to achieve improved return on investment in public sector agencies. He currently serves as an adjunct faculty member at the College of William & Mary and previously taught at George Washington University and Saint Vincent College. He earned a Doctorate of Management as an NSA doctoral fellow, with Phi Kappa Phi honors, as well as an MS in Telecommunications Management from University of Maryland University College, and a BS in Industrial and Management Engineering from Rensselaer Polytechnic Institute. He is DAWIA Level III certified in program management. Donna Bartee is a National Security Law and Compliance Attorney and Cyber-security Law and Policy expert. ​Prior to joining TransTechSol in 2018, she was a senior Cyber-security Policy Principal with MITRE supporting the Department of Homeland Security. In addition, she has nine years of experience as a senior attorney in NSA's General Counsel Office supporting Information Assurance/Cyber-security Operations and providing legal advice on incident response, defense monitoring and privacy and data governance. Donna is a retired Navy Judge Advocate with a JD from American University and a BS in Nursing from the University of Florida. She also has completed graduate certificates in Telecommunications and Information Systems from Johns Hopkins University and Strategic Intelligence Operations from the National Intelligence University. She serves as an adjunct professor in George Washington University's Law and Graduate Studies programs. Kristin Bronkar is an Operations Specialist for TransTechSol. Kristin has extensive experience managing the workflow of organizations while facilitating the execution of daily business activities. Prior to joining TransTechSol, Kristin was a luxury travel consultant where she directed business operations, maintained client relationships, and supported marketing efforts. In addition, she has successfully managed high-volume retailers while directing her team in areas of finance, accounting, human resources, and recruiting. Kristin earned a BS in Marketing from Saint Vincent College. She lives in Pittsburgh with her husband, Matthew and step-son, Aidan, and spends her weekends with family exploring the outdoors with their dogs and attending Aidan's sporting events. Shawn Bendig is a Senior Systems Engineer developing solutions focused on compliance standards, practices, policies and laws that protect the privacy of U.S. citizens. Shawn has 30 years of experience supporting the Department of Defense and the National Security Agency. He has served as a civilian as well as a U.S. Air Force Officer and Enlisted member in a wide variety of roles to include management of multiple systems engineering and information technology management efforts. Most recently, Shawn worked in a consulting role with Deloitte. Shawn is a graduate of the University of Maryland University of College where he earned an MS in Management. He also holds a BS degree in Management Information Systems. Kristen Caha is a Senior Systems Engineer supporting compliance efforts. 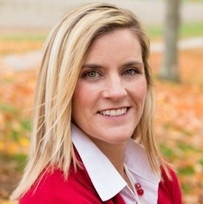 Kristen has more than 10 years of experience serving the National Security Agency (NSA), the Office of the Director of National Intelligence (ODNI), the Federal Aviation Administration and U.S. Customs. Kristen has an extensive background in systems engineering and leverages lean six sigma methodologies for streamlining processes. She has previously served in consulting roles with Booz Allen Hamilton and IBM. In addition, she has led subcontract proposal efforts supporting a $100M contract and has negotiated teaming agreements and rates for numerous subcontractors across approximately 40 labor categories. Kristen is a graduate of the University of Maryland, College Park where she earned an MBA. She is a PMI-certified Project Management Professional and a Lean Six Sigma Blackbelt. Krista Cheatham advises TransTechSol clients on developing compliant systems and analytics. A former lawyer for both the National Security Agency (NSA) and the Office of the Director of National Intelligence (ODNI), Krista has a deep understanding of Intelligence Community (IC) authorities, procedures, and policies and their impact on IC systems. Her legal expertise has enabled her to work directly and through agency policy and compliance organizations to translate some of the most complex legal regimes into practical training modules, system requirements, and effective guidelines used by analysts and technologists. Krista's technical acumen has allowed her to assist legal and policy stakeholders to better understand the technology they intend to task and regulate. Prior to joining the IC, Krista worked as a commercial litigation attorney in three top tier law firms, representing technology and telecommunications firms and satellite service providers in patent infringement and insurance coverage matters. This is where she developed her knack for working with technologists – including expert witnesses – to make sure they understood the applicable legal requirements and to help them accurately document how the products or systems in question were designed. Krista has more than 17 years of experience as an NSA and ODNI lawyer and as a Naval Officer. She has more than 15 years of experience translating legal requirements into system requirements. She received her JD from Georgetown University Law Center, her MS in Systems Technology from the United States Naval Postgraduate School, and her BS in English from the United States Naval Academy. Dr. Dawn Edmiston has served as marketing advisor and board member of TransTechSol since its founding in 2011. She is the Clinical Professor of Marketing in the Raymond A. Mason School of Business at the College of William & Mary. She was selected as the 2018 William & Mary Dungan BBA Innovative Teaching Fellow and was honored as the 2017 Marketing Management Association Master Teacher. Prior to joining academia, Dawn held marketing management roles with IBM Business Consulting Services, PricewaterhouseCoopers Management Consulting Services, and Discovery Communications. She is a national speaker on the topics of digital marketing and professional branding. A video of Dawn's session on marketing with the U.S. Department of Housing and Urban Development can be accessed here. Dawn's educational background includes a Doctor of Management from University of Maryland University College with Phi Kappa Phi honors, an MBA from Columbia Business School, where she was one of two students selected for the international exchange programme at London Business School, and a BS from Rennselaer Polytechnic Institute. She is currently pursuing a second doctorate in Educational Policy, Planning and Leadership at William & Mary. Phenesia Eusebio is a Principal Systems Engineer and technology strategist responsible for designing and developing automated solutions to increase knowledge of, and adherence to, compliance standards, practices and policies in support of U.S. person privacy laws. Phenesia has more than 20 years serving the National Security Agency (NSA), initially as a Far East (Korean) Cryptologic Linguist for the United States Air Force, and then, as a software developer and systems engineer, working with diverse clients to define their needs, vet requirements across multiple stakeholders and provide full life cycle support on complex IT enterprise projects. Phenesia has also worked at Booz Allen Hamilton as a Project Lead and Task Manager and as the Deputy Program Manager of a large scale systems delivery program, valued at approximately $40 million. Phenesia earned an MS in Technology Management and a BS in Computer and Information Science from the University of Maryland University College. She is a PMI-certified Project Management Professional and ScrumMaster, and holds an ITIL V3 Foundation certificate. Deborah Harris is a Senior Systems Engineer with more than 25 years of experience with the National Security Agency (NSA), National Geospatial-Intelligence Agency (NGA) and Central Intelligence Agency (CIA). She currently provides analytic compliance requirements expertise to her team and advises developers on compliance requirements for agency systems to maintain compliance with privacy laws and regulations. Previously, Deborah provided training and technical direction for government projects as lead configuration manager, software engineer and testing engineer performing technical and non technical assessment management as well as end to life flow analysis while working for GTE, J.G. Van Dyke & Associates, Northrop Grumman and KEYW. Deborah graduated from Virginia Technical Institute and attended John Hopkins University, specializing in Computer Programming. Married for over 30 years Deborah and her husband Steven mentor and coach married couples. For the past 19 years Deborah has served as a leader and lecturer for non-profit organizations that encourage and support women in finding their passion, purpose and potential for their lives through various life skills. Dwayne Johnson is a seasoned Principal Systems Engineer, focused on the areas of U.S. person privacy compliance and STEM-related mentoring activities for TransTechSol. Previously, he was a Project Manager and Systems Engineer at Booz Allen Hamilton (BAH) and a Systems Engineer and Training Manager at Lockheed Martin. Dwayne has more than 20 years of experience supporting Department of Defense clients in a range of roles, including training development and management, full systems and software development lifecycle support, project management, and employee development. At BAH, Dwayne was a Technical Task Order Lead responsible for the management of a 5-year $35M project providing strategic planning, development, testing, configuration management, help desk, and security accreditation support for the client. 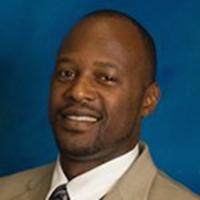 At Lockheed Martin, Dwayne worked as a Systems Engineer on the NLOS Program providing requirements development and systems decomposition support. Dwayne is a PMI certified Project Management Professional, and DRII certified Associate Business Continuity Professional. He is also trained in Lean and Six Sigma concepts and received his BS in Electrical Engineering from Morgan State University. Dwayne is passionate about the development of youth-related life-skills and STEM activities. Through his non-profit dive organization, Charm City SCUBA, he works with Baltimore City middle and high school students on environmental stewardship as well as their swimming skills and SCUBA diving certification(s). He also served for three years as the Project Lead The Way (PLTW) Engineering Partner Advisory Committee Chairperson for Baltimore City Public Schools. April LeViere directs TransTechSol's administration and policy development in the areas of accounting, human resources, financial systems, and contracts and procurement. In addition, she oversees the design of TransTechSol’s compensation and benefits program as well as compliance with federal contract regulations. Previously, April was the lead corporate recruiter for Amerisafe Consulting & Safety Services responsible for sourcing, interviewing, offer negotiation and hiring full-time and contract professionals within multiple industries across the United States. Prior to joining Amerisafe, April successfully managed recruiting efforts at Arthur Andersen and Deloitte Consulting. April is an honors graduate of Washington & Jefferson College, where she earned a BA in English Language and Literature. ​An accomplished athlete, April has completed more than 25 marathons and half-marathons. She is passionate about youth fitness and currently coaches a fast pitch travel softball team for young girls. 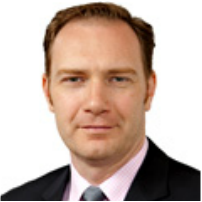 Adam Sharp advises TransTechSol clients on privacy compliance of complex data systems. Adam is not only comfortable with technology, but also brings a deep knowledge of intelligence-related privacy law and intelligence community reform efforts to the TransTechSol team. Additionally, Adam handles the legal matters of TransTechSol. Adam has more than 20 years of experience in compliance and compliance-related roles. Prior to joining TransTechSol, Adam was an attorney in the Telecommunications, Media, and Technology practice group at Morgan, Lewis and Bockius, LLP (Morgan Lewis). At Morgan Lewis, Adam performed legal research, analysis and writing, due diligence, negotiation support, litigation discovery, and project management. Prior to his career as an attorney, Adam served as a Senior Watch Officer at a National Security Agency field station and as a consultant for firms including Booz Allen Hamilton and BearingPoint where he focused on strategic planning, process development and improvement, performance measurement and compliance. He has also worked as an Air Pollution Engineer with his family’s business, Sharp Environmental Systems. Adam is a Maryland-barred attorney and received his JD from Georgetown University Law Center and BA in Political Science from Pennsylvania State University. He is formally trained by a Chief Judge of the Foreign Intelligence Surveillance Court in the Foreign Intelligence Surveillance Act, and other surveillance law, and by FBI and ODNI attorneys in intelligence community reform. He is also a member of Mensa. Prior to becoming the father of three boys, Adam enjoyed performing community service for Big Brothers Big Sisters of America, to include organizing fund raising events. In addition, he has performed pro bono work for a non-profit for the speech-impaired. Charlie Shaw is a Principal Systems Engineer with extensive experience in the privacy, policy, legislative, and technology aspects of intelligence community to deliver compliance solutions. Charlie's experience spans 40+ years as a consultant to senior government and corporate leaders. Over the past 15 years, he has served as an advisor to the Deputy IC CIO at the ODNI, the Chief Scientist at OI&A at DHS, and the CIO and the CISO at the Department of Energy. He has worked with CIOs and other senior executives from across the Intelligence Community to improve information sharing while ensuring the protection of U.S. citizens' privacy and civil liberties. As an executive with Century Computing, Charlie pioneered graphical user interfaces and networks of modular platforms for satellite ground systems for civilian and classified U.S. space programs and for commercial communications satellites. Under his leadership, the company won awards from NASA and NOAA. As a software engineer, Charlie co-developed the software engineering methodology for one of the first aerospace companies to receive Level 5 Capability Maturity Model certification from the Software Engineering Institute and was an operating systems programmer for NASA ground systems. Charlie earned his M.S. in Computer Science and B.S. in Mathematics from the University of Maryland. Carmen Woodley is a Senior Systems Engineer with more than 17 years of experience supporting the Department of Defense and Intelligence Community in a wide variety of roles. She focuses on compliance standards, policies and laws for U.S. person privacy for TransTechSol. Carmen's background includes technical expertise in cyber security, information assurance, risk and threat management, and security architecture design and analysis. She is a business-focused, hands-on systems engineer with unique legal and process experience. As a consultant for Booz Allen Hamilton and Van Dyke Technology Group, Carmen served as the lead engineer and trusted advisor in the management of complex systems design and software process analysis as well as security integration and accreditation requirements, and provided expertise in creating policies, processes and procedures governing secure solution development. Carmen is a licensed Maryland attorney. She received her JD from the University of Maryland Francis King Carey School of Law and BS in Electrical Engineering from Morgan State University. Carmen is a Certified Information Systems Security Professional. She also holds a passion for providing pro-bono legal assistance to clients and non-profit organizations, including Maryland Volunteer Lawyers Service and Homeless Persons Representation Project.